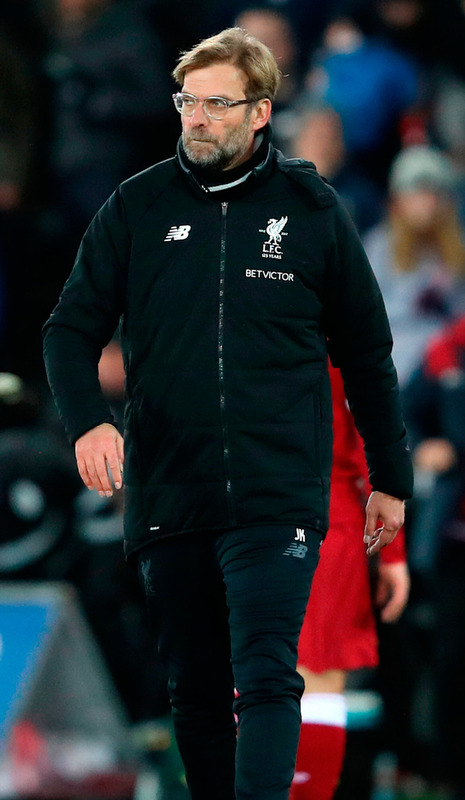 Liverpool boss Jurgen Klopp was involved in an angry exchange with a fan as Swansea counterpart Carlos Carvalhal declared his side were “breathing” after their shock 1-0 Liberty Stadium win. Alfie Mawson’s first-half winner produced one of the shock results of the season as the Premier League’s bottom club downed opponents previously unbeaten in 18 games. Liverpool’s below-par performance was all the more unfathomable as it came after they had ended the unbeaten record of leaders Manchester City, and Klopp’s miserable night took a turn for the worse when he was involved in a spat with a Swansea supporter. “He was shouting at me all the time and I reacted once,” Klopp said of the second-half incident. “I must remind myself I’m a human being and not just a professional manager who takes that all the time. “It was only one moment when I had enough, it wasn’t to do with the fact we were 1-0 down. “I’m sure I am not the first manager who has had a problem with him there, he must be a season ticket holder. “It was my fault as well. I should not react, but I didn’t say anything bad. Roberto Firmino almost rescued a point for Liverpool in stoppage time when his header came back off a post. But Klopp was left bemoaning a result which leaves Liverpool six points adrift of second-placed Manchester United and three behind Chelsea in third. “I’m more frustrated with the performance than the result and I’m angry because it was not a good game,” Klopp said. “We lost the game in the first half. We didn’t do what we wanted to do. “It hasn’t happened too often, so I didn’t expect that and I was quite surprised. “Swansea are fighting for their life and we’ve no problem with that. Swansea stay bottom - albeit on goal difference from West Brom - but it is now only one defeat in six games since Carvalhal took charge last month. The Portuguese has instilled real belief that Swansea can escape relegation and he believes their condition is looking rosier after this shock win.